The Washington Post is reporting that Conservative groups are taking aim at a Northern Virginia Democrat who is vying to become the state’s first openly transgender elected official, launching robo-calls and ads that raise issues of gender identity. 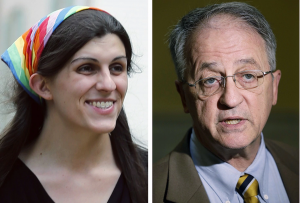 Until now, the statehouse race between Democrat Danica Roem and Del. Robert G. Marshall (R-Prince William) has focused mostly on traffic congestion and other local issues, even as the historic nature of Roem’s candidacy has brought her waves of publicity and donations from across the country.